Credit: E. M. Shabanova, Andrey S. Drozdov et al. Scientists from ITMO University have found a way to effectively stop internal bleeding by magnetically-driven nanoparticles containing thrombin. A drug based on these nanoparticles can be injected intravenously and delivered straight to the site of a vascular injury. It can accelerate local clot formation and reduce overall blood loss by 15 times. The nanoparticles are not toxic to humans and can potentially be used for safe treatment. The results were published in Scientific Reports. 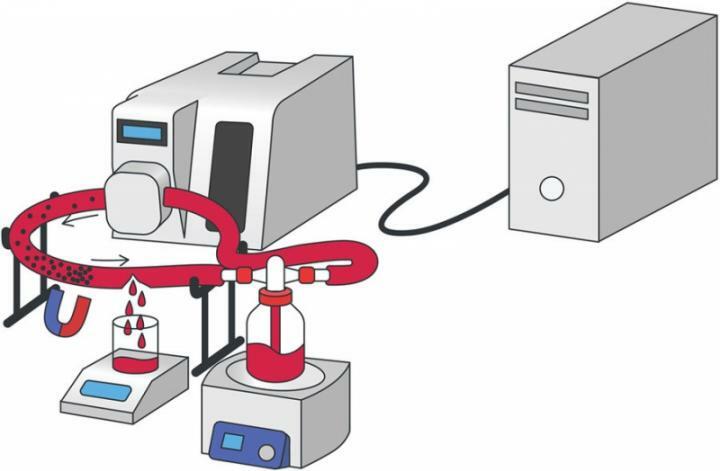 "[email protected] nanoparticles for use as a hemostatic agent in internal bleeding"
E. M. Shabanova, Andrey S. Drozdov et al.